Vinegar isn't just for french fries and salad dressings, you would be surprised by how many ways you can add vinegar to a dish with some great results, here's a few tips..
For fluffier rice add a teaspoon of white vinegar to the boiling water. Easier to serve this way too! Add two tablespoons of vinegar per quart of water before boiling eggs to prevent cracking. 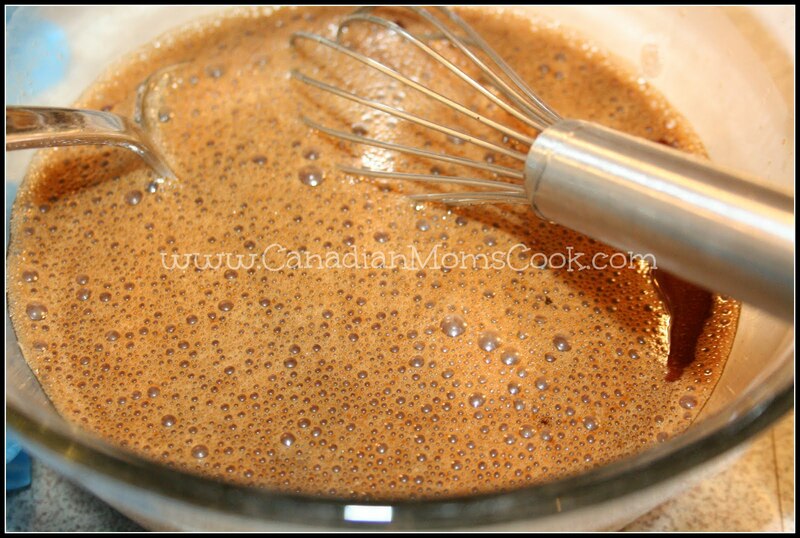 When poaching eggs, add a little white distilled vinegar to the water and the whites will stay better formed. For firmer, whiter fish, soak a filet for 20 minutes in one quart of water and two tablespoons of vinegar. Make a fluffier, and more stable, meringue by adding vinegar to egg whites before beating. For every 3 egg whites in recipe, add 1/2 teaspoon of vinegar. 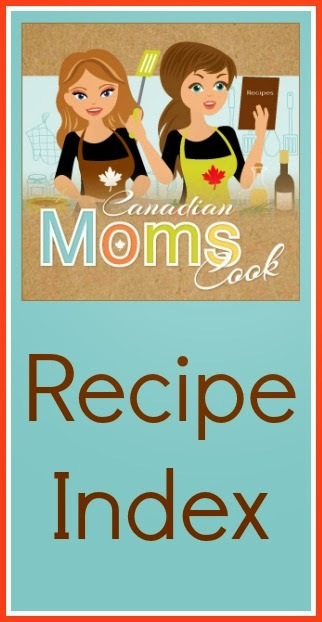 Have a cooking tip to share? Let us know in the comments and we will feature it in a future post! 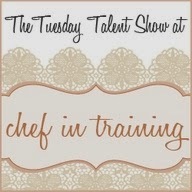 Do we ever have a treat for you today! 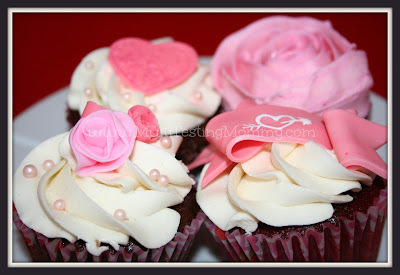 Head on over to Multi-Testing Mommy to see more beautiful treats and read about The Cocoa Cakery! Does your family enjoy fresh muffins? Mine sure does. This muffin recipe is a favourite of ours. I especially love it because it gives us fresh muffins in 20 minutes for weeks on end! 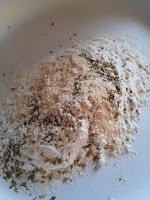 Add the wet to the dry ingredients and stir just to combine. Bake at 375 degrees for 20 minutes or until toothpick comes out clean. 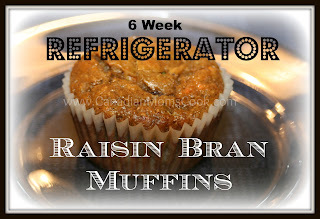 The raw muffin mix keeps in the fridge, covered for up to 6-8 weeks! Now it is super easy to make muffins in the morning! Scoop them out and bake! Voila! Fresh muffins. As a busy Mom, I love things that save me time. My children LOVE muffins and muffins are currently my son's preferred breakfast food. However, some mornings are rather hectic and we are short on time. 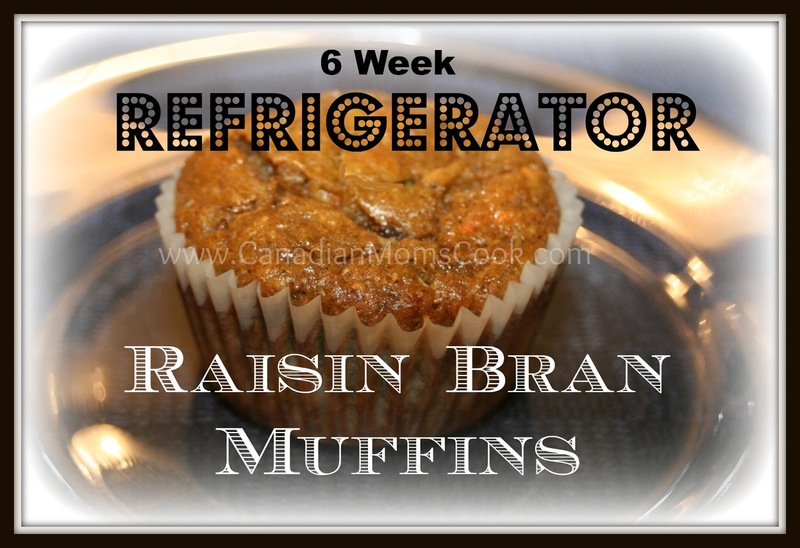 I absolutely LOVE this muffin recipe because it is so moist and yummy. But most of all, I love it because it makes giving my children fresh muffins so easy! Did I mention that my kids love muffins? They really love these ones, to the point that I have to limit how many I make in a batch because, well....they are full of bran goodness. Do You Need Help Raising @HealthyKids ? SuperHealthyKids.com is a website that is overflowing with information on healthy eating for parents. This website is a great resource for parents. 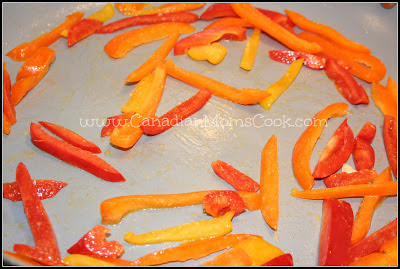 The recipe indexes all have colourful images so that you know what the food will (or is supposed to) look like. 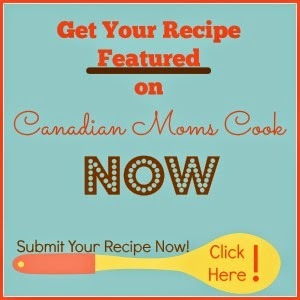 There is also a large variety of family friendly recipes to try. This website is definitely designed with children in mind. There is a strong focus on healthy living and healthy eating, but it is also child friendly. We love pork chops, and one of the many ways we have them is fried, here's how I make them..
Everyone loves these pork chops, the coating adds great flavour and texture, we served them along side our homemade macaroni and cheese - a great meal! 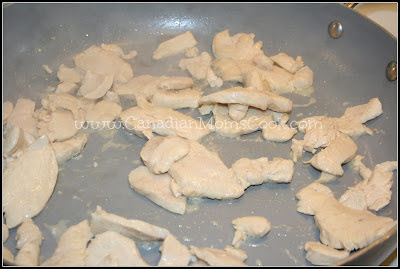 If you are sauteing a dish make sure you don't overcrowd the pan, otherwise you end up steaming your food. The point of sauteing a dish is to cook your food quickly and browning it while preserving its texture, moisture and flavor, overcrowding a pan can lead to a slower cooking time and a soggy dish. Make sure you only have a single layer of ingredients and only enough fat to lightly coat the bottom of the pan. 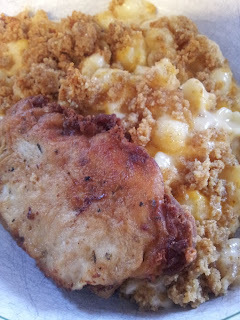 Here is the original recipe for this KFC Baked Fried Chicken. My neighbour introduced this recipe to me and I can't wait to test it out! 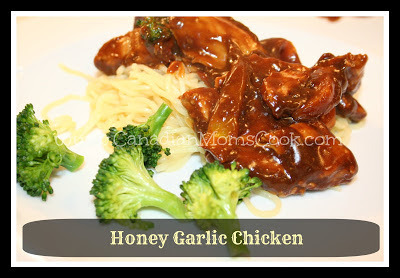 She is the second person who swears by this delicious chicken recipe! Tastes almost as good as the real thing, but much healthier! Last week, we stumbled across a wonderful recipe for Honey Garlic Chicken on the 100% Canadian Milk Facebook Page. 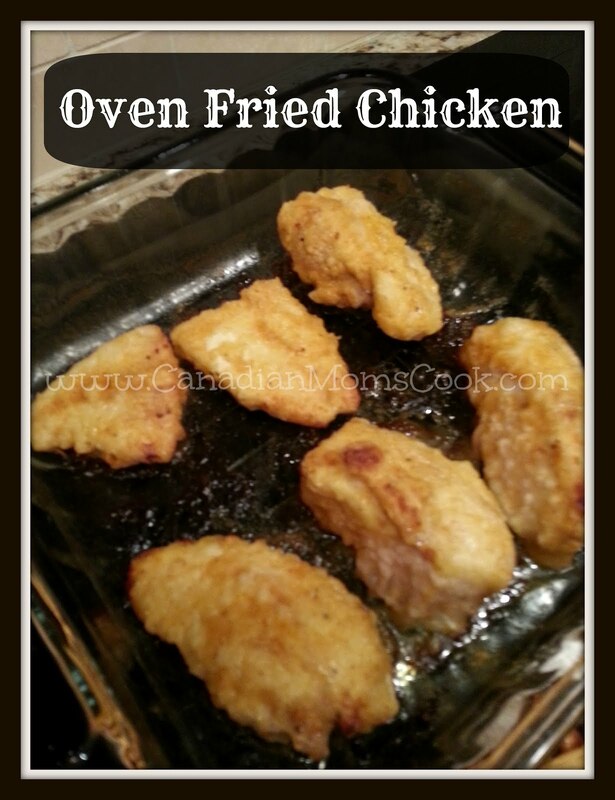 It sounded so easy and so yummy that we just had to try it out. 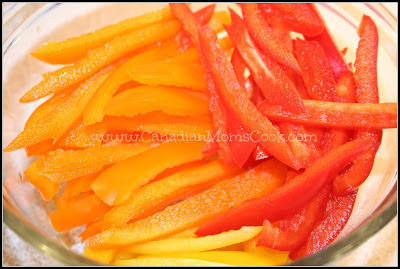 I chopped a variety of sweet peppers. I mixed up a stir-fry sauce. I fried up the peppers. I mixed it all together and let it simmer, while my mouth watered! When it was all cooked, we ate a yummy and nutritious dinner! Here is a video with more detail for those of you who are visual learners like me! 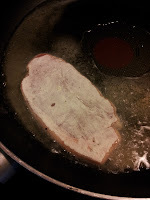 Whenever you cook a ham, are you usually left with a whole pile of ham leftover? 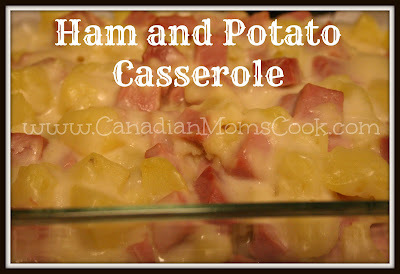 One of my favourite dishes to make with leftover ham is this ham and potato casserole ! Melt butter in a large pot. Add flour and stir for 2 minutes while on medium-low heat. 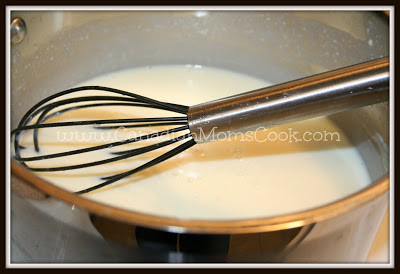 VERY slowly add milk, while whisking. 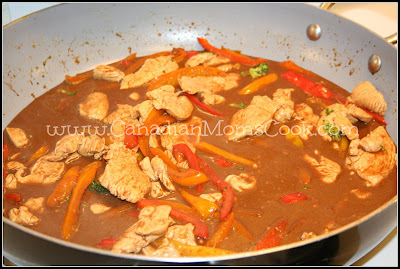 Stir often and cook until sauce thickens (approximately 5-7 minutes). 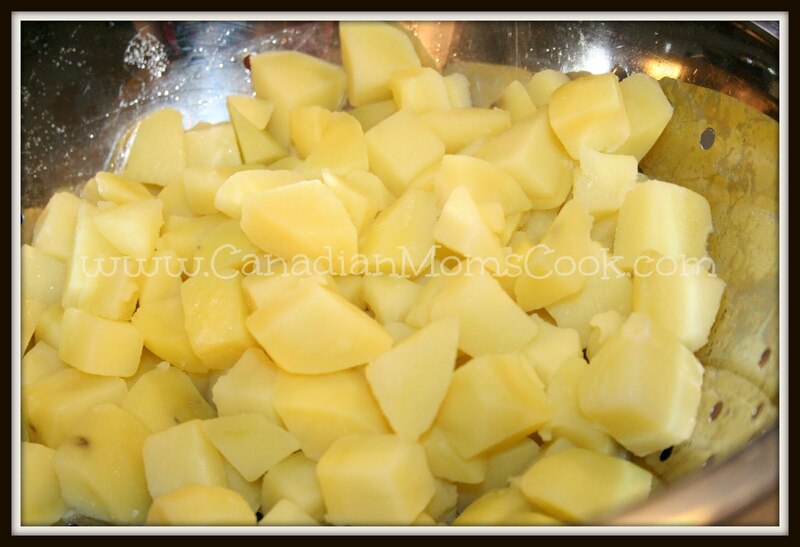 Add shredded cheese and stir into sauce. 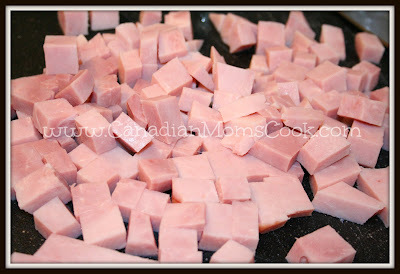 Add ham and potatoes and stir gently to mix. Add to a casserole dish and bake in oven, covered for 30 minutes at 375 degrees. For the last 10 minutes, remove lid/foil. Note: Adding some frozen corn to this recipe would be really yummy! Originally, this recipe had chopped onion, however, we quickly learned that my daughter is not a huge fan of onion, so in the beginning, I would make the sauce and give it a quick blend in the blender. 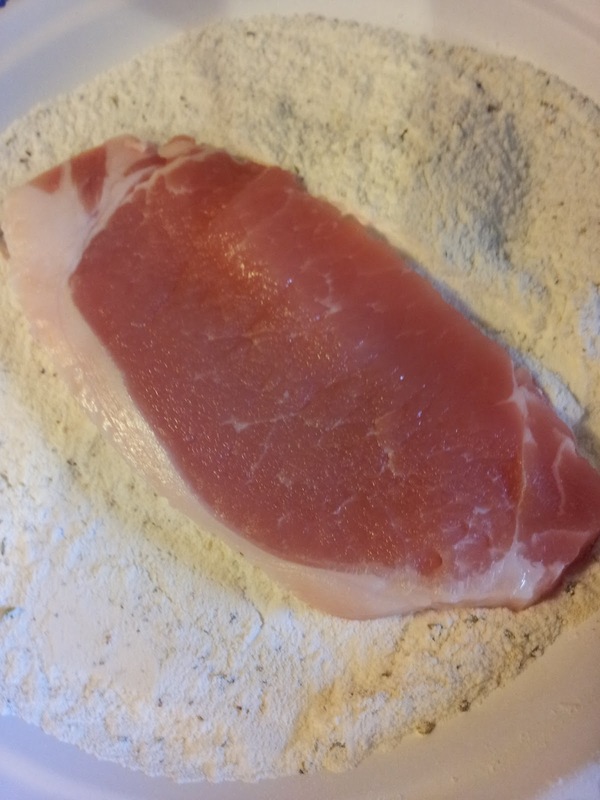 However, this added step made this casserole less appealing for me to make because of the longer clean up, so I began adding onion powder to taste. My son isn't a huge fan of sauces, but it is easy enough to put a small spoonful of this casserole on his plate and save him some plain ham and potato for the main part of his meal! 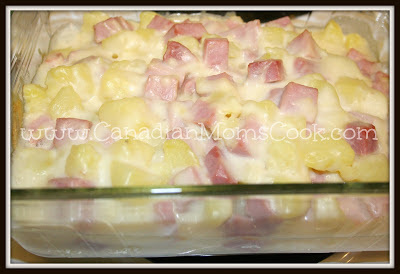 This casserole can be put in the freezer, providing the ham was fresh, however, do note that the cooked potatoes take on a different consistency and the casserole does get considerably watered down. 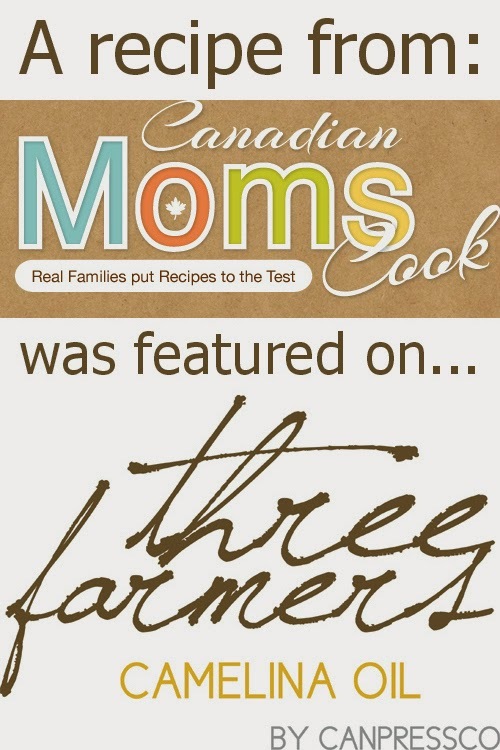 I've been considered a "real Mom" because Lori over at Frugal Edmonton Mama featured my thoughts on Grocery Saving Tips from real Moms this week! I encourage you to head on over to her blog to check out how groceries, meals etc. work in our household! My family loves biscuits. 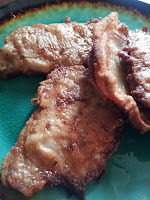 I often make them to accompany soup or chilli and they get gobbled up within one meal with few or no leftovers. The one downside to biscuits is traditionally, they are not the healthiest of options. Today, I made some sweet potato muffins and I had some left over sweet potato. After a good old google search for recipes, I came up with one for Sweet Potato Biscuits by Paula Dean. These biscuits are very simple to make and they have the added health bonus of sweet potato! Funny enough, as I am composing this post, I realized that I left out the milk out of these biscuits. I simply kneaded the dough for a few minutes until it became smooth! Next time, I will skip adding any salt all together and I also might leave out the milk on purpose! Despite the fact that I left out the milk, these biscuits and moist and delicious! They are easy to make and have less butter in them than traditional biscuits that I often make, thanks to the moistness from the sweet potato. I will definitely be making these again!